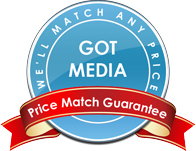 GotMedia.com sells CD DVD Ink Cartridges for Primera, Microboards and Rimage CD DVD Inkjet printers at competitive prices in Orange County, CA. Be sure to also look through our inventory of inkjet printable DVD-R media and inkjet printable CD-R media. If you would like assistance in choosing the right CD DVD ink jet cartridges for your CD DVD inkjet printer, don't hesitate to call one of our knowledgeable representatives at 1-866-409-1090. The Rimage 480i Inkjet Printer is based on HP technology, but it is necessary to use Rimage Ink Cartridges. This is a black monocolor ink cartridge made by Rimage. It is compatible with the Rimage 480i printer, the 360i and 2000i desktop duplicators. The Rimage 480i Inkjet Printer is based on HP technology, but it is necessary to use Rimage Ink Cartridges. This is a Color CMY ink cartridge made by Rimage. It is compatible with the Rimage 480i printer, the 360i and 2000i desktop duplicators. Replacement your Cyan, Light Cyan, Magenta, Light Magenta, Yellow and Black Color Ink Cartridges for your DiscProducer PP-100. Cyan replacement ink cartridges for Primera 4100 series disc publisher. Made by Primera these cyan ink cartirdges are the recommended OEM replacement cartridges. 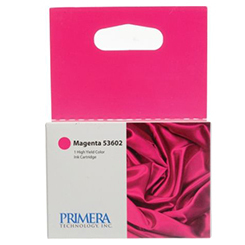 These Primera magenta 53602 replacement ink cartidges are for the Primera 4100 disc printer and publisher. Factory OEM ink cartridges from Primera. Buy the 53603 yellow ink cartridge from Primera thats compatible with the 4100 series disc publishing system from Primera. 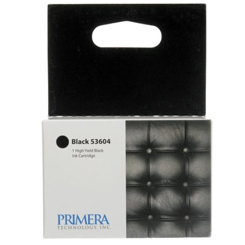 Primera's black ink cartridge 53604 is a replacement ink cartridge for the Primera 4100 series disc publishers. Available in bulk or single pack count. The Bravo Pro can only use replacement ink cartridges made by Primera. This is a Primera 53336 black monocolor ink cartridge. It is compatible with Primera's Bravo Pro publisher and printer. Bravo Pro features a 4800 dpi color inkjet printer. The Bravo Pro can only use replacement ink cartridges made by Primera. This is a Primera 53335 Color CMY ink cartridge. It is compatible with the Primera's Bravo Pro publisher and printer. Bravo SE uses a CMY color cartridge made by Primera. There is only one color cartridge and no black cartridge. This is a Primera Color CMY ink cartridge 53332. It is compatible with Primera's Bravo SE publisher. The Primera color CMY cartridge is compatible with Signature Pro and Z6 printer models. Only OEM Primera ink cartridges can be used in these printers. Replacement Cyan Ink for your DiscProducer PP-100. Replacement Light Cyan Ink for your DiscProducer PP-100. 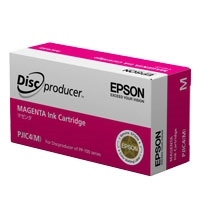 Replacement Light Magenta Ink for your DiscProducer PP-100. Replacement Magenta Ink for your DiscProducer PP-100. Replacement Yellow Ink for your DiscProducer PP-100.